Separate Filters for "Changed" and "New" / "Removed"
Sourcing Reports from "Existing Datasets - SQL"
The ability to add Derived fields to the Dataset's Results has been added to the Dataset Viewer. To add a new Derived field, in the Select Fields section select the [+ Derived field] button. 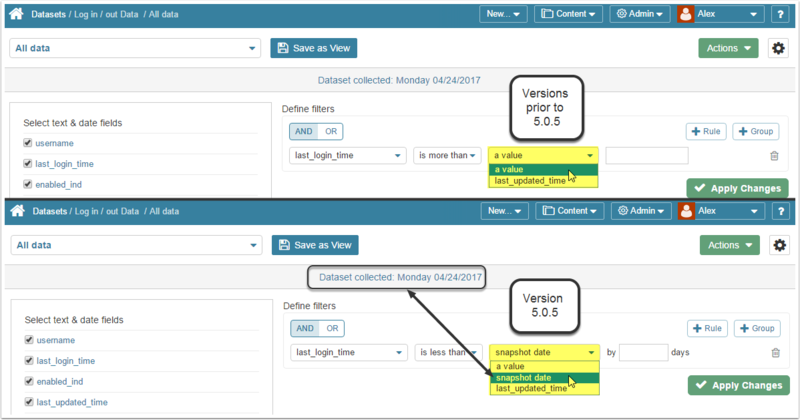 Dataset Views: Derived fields are created and assigned to a specific Dataset View but can be duplicated together with this View. Filter Criteria: Derived fields are supported in filter criteria the same way as regular dataset source fields. You can now apply different set of filters to the rows that are Changed and to those which are New or Removed. For detailed information on filters used for comparing instances, refer to: Applying Filters when comparing "Last two Instances"
In the upper right corner of the screen click Actions > New Dimension. A pop-up opens. Key / Display Value Column: These drop-down lists contain all text fields, sourced from a Dataset's Data Source. 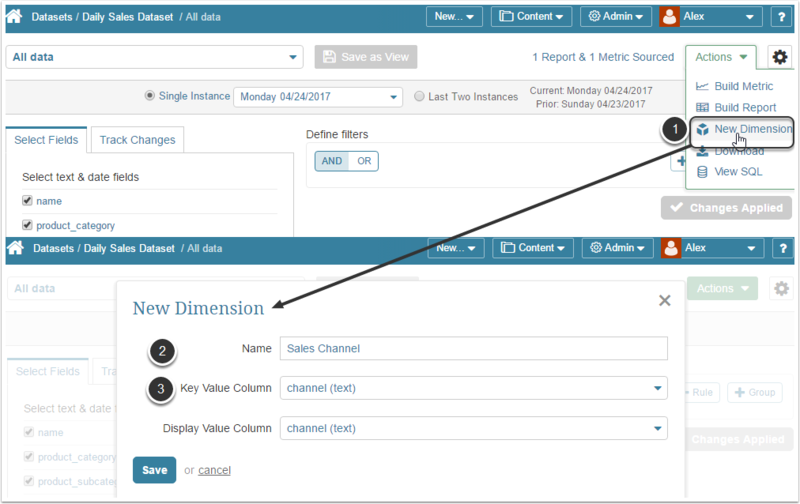 Upon Saving entries in this pop-up, Metric Insights automatically collects Dimension Values (unique values in the fields selected from the Key / Display Value Column drop-down lists). NOTE: To limit the number (or scope) of Dimension Values collected from a Dataset, first apply filters to a field containing them. A new Data Source gas been added to the Report Editors. All Datasets created in the system are saved as SQL tables. 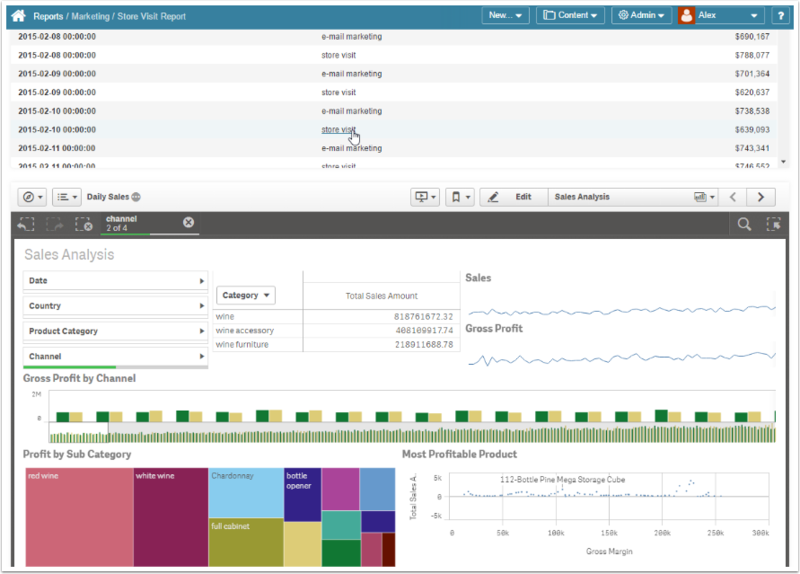 This functionality helps building Reports that span multiple Datasets. In order to grant Power users access to this feature (create reports from "Existing Datasets - SQL" Data Source), a new Privilege has been added to User and Group Editors: Create Content Using Datasets. In versions prior to 5.0.5 we offered an ability to include external charts using links to other objects with an ability to adjust width and height of External Image. 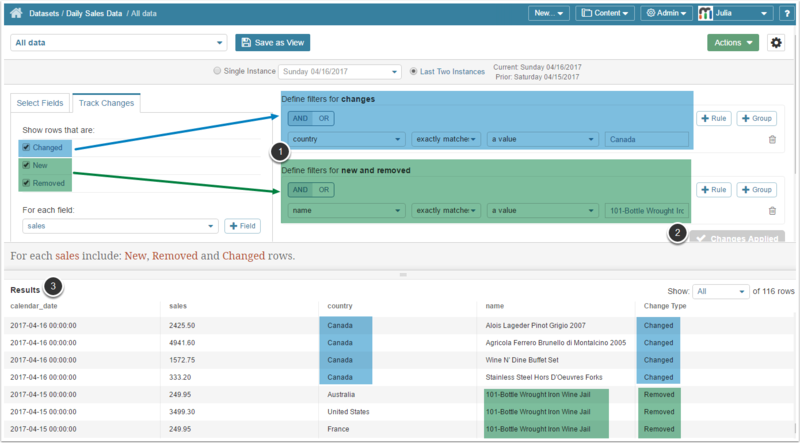 In this new Version we have extended this functionality and it is now possible to combine internal Report and Qlik sense Visualizations in one Viewer. When configured with Bursts or Alerts, these mixed data can be delivered to users by email. The See Related drop-down list positioned above the Chart and Drill to component metric in the Viewer were being populated by elements with a wrong dimension. In the Metric Viewer > Summary Window, the "Linked Reports" URL referenced an External Report for Metrics/Multi-Metrics. Multi-Metrics in PDF: When Multi-Metrics (both chart and data) were downloaded as PDF files, columns exceeded file PDF width. This never was a problem for CSV or XLXS. Alerting: Text of the composite Alert that included "Recent volatility levels" Alert was incorrect. Supported Browsers: Tile titles were not displayed correctly in the Edge browser. When QlikView Server uses NTFS auth, object list cannot be refreshed. When attempting to update the Reports list in the Plugin Editor (and the list is empty on a server), UI surfaces no changes / errors.